Yvonne Conolly was appointed head of Ringcross Primary school in North London in 1969. She had moved to the UK from Jamaica just a few years earlier. Yvonne Conolly was appointed head of Ringcross Primary school in North London in 1969. She had moved to the UK from Jamaica just a few years earlier and quickly worked her way up the teaching profession. She faced racist threats when she first took up the post but refused to allow them to define her relationship with the children she taught. 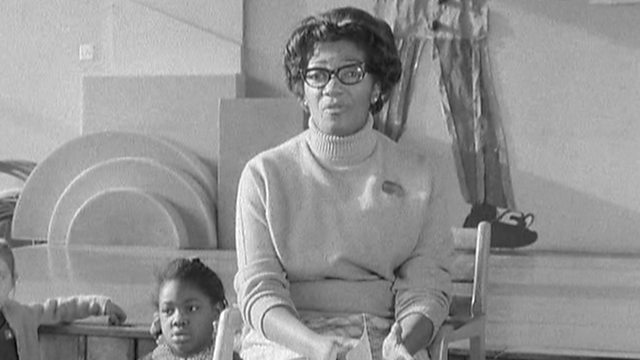 Photo: Yvonne Conolly in a classroom. Copyright: Pathe.